Independent fiscal policy: I told you so . . . The case for more independent fiscal policy has always struck me as bleedingly obvious. I still think it is kind of inevitable but we’re certainly taking our time. The adventures of the last decade both here and in most other developed countries are a nice illustration of why it’s necessary. It was touch and go in many countries whether a fiscal stimulus would be pursued while the financial sector melted down and monetary policy sat in a liquidity trap. But a fiscal stimulus helped make things less disastrous than they would otherwise have been. But now the architects of those policies, each in their way being quite politically bold in implementing those policies, are now gone (Gordon Brown) or mired in populist rhetoric about how spendthrift they are and how urgent it is to rein in spending (Barack Obama). Meanwhile in their countries, Krugman and others with a bit of Keynesian sense point out that the market doesn’t look like driving bond yields up any time soon. And since growth is still dangerously weak, now is no time to pull back on the stimulus. (I’m not addressing these comments to the Australian situation where we’re obviously much further from any bond market concern about the government’s debt position and we look like we’re returning to economic health, though I’m a great believer in my own and everyone else’s ignorance on that score). Krugman has bemoaned the way in which this madness is taking over his own country. But, as Clive Crook points out, that’s not really good enough. There is an issue for the US particularly, which is that if your political system seems inured to irresponsible deficit budgeting, that ultimately removes a lot of your discretion to engage in fiscal stimulus. We hear plenty of complaining from Krugman about the fact of the US’s irresponsibility on this (it’s related to the revolutionary irresponsibility of its Republican Party). But if that’s the case why should we be so sanguine about continuing to push up US debt. It’s a weak part of his argument. Here’s Clive Crook quoting Bill Galston. I think Krugman is correct to argue against “fiscal austerity now now now”, especially for the US. But Galston’s view, as I say, is consistent with this. It’s the long-term outlook they disagree about. I don’t understand why Krugman won’t more fully acknowledge the long-term problem. Why not give equal emphasis to the need for further short-term stimulus combined with tax increases and/or spending cuts later? Difficult to do, of course, but what is the objection in principle? Perhaps Krugman believes that yielding ground on the long-term problem would weaken the case for stimulus now now now. If so, as a matter of political judgment, he is wrong. His blunt refusal to engage with the other side undermines his case. Or does he think there really is no long-term problem? Again and again he says that financial markets are not (yet) pushing US long-term rates higher, as though that is all you need to know. This would be an even weirder thing for him, of all people, to think. Markets know best? Sounds like those looney-tunes in Chicago. Crook doesn’t finish this piece of analysis. It’s quite simple, unless you have credibility you can’t get far with stimulatory fiscal policy. And, given the difficulty with which the electorate are able to understand the arguments about the appropriate fiscal stance, not to mention the crudity of its options (vote for one of two major paries once every four or so years), institution building seems the only way out. So why don’t we talk more about it. On the bright side the British Conservatives have made the right move with their Office of Budget Responsibility, though it’s unclear how much it will be able to take a position on the appropriateness of fiscal policy – as opposed to scrutinising forecasts. Anyway, the case to move fiscal policy further towards the model we have now arrived at for monetary policy seems overwhelming. So far lots of countries have toyed with fiscal transparency bodies, but, as I’ve argued previously, it’s not an absence of basic fiscal transparency that allowed Reagan or Bush II to be as irresponsible as they were. So at a minimum if we’re to get anywhere, we need some independent but official source of public advice to the government – and some similarly official, public and independent comment on how well it’s going. Ideally we’d develop out of this some backstop way in which taxes could be changed across the board to deliver appropriate fiscal policy, with the government always free to deliver the requisite policy in some other way. Then again it took many decades to deliver some semblance of independence to monetary policy, so I guess we’re not making such bad progress . . .
18 Responses to Independent fiscal policy: I told you so . . . I don’t understand why Krugman won’t more fully acknowledge the long-term problem. Why not give equal emphasis to the need for further short-term stimulus combined with tax increases and/or spending cuts later? Difficult to do, of course, but what is the objection in principle? Sorry, this must be some other Paul Krugman than the one who posts on the New York Times. The NYT Krugman consistently talks about the long-term problems, about how tax increases are necessary and how health-care costs need to brought under control and has been doing this for years. What he’s saying at the moment is that given that there is over 9% unemployment at the moment, now is not the right time to start and in any case, any stimulus package would be negligible in the scheme of things, Brad deLong has addressed this as well. Now they may be wrong, but to accuse Krugman of not addressing the long-term problems is just hackery. Nicholas, are you thinking of something along the lines of the German Council of Economic Advisors? They have no binding influence on the Government, but they command a lot of respect, and, given a few more powers, would seem to be moving in the direction you propose. Krugman despairs of the long term prospects of his country under the political culture that it has. So why is he so sanguine about deficit financing? I’m suggesting that his position on both long and short term issues is in need of some additional ingredient by which he brings his policy advocacy on long and short term problems into some compatibility. And the only way I know of addressing long term problems of political culture is institution building. Do you have any other ideas? Martin C Jones – sure. So I did mention the issue you comment on. So what are you carrying on about? It seems to me that the case for independent fiscal policy hinges on the idea that the problems it addresses are technical rather than political. When a problem is purely technical everyone agrees what a good outcome looks like and what a bad outcome looks like. I suspect that economists overestimate the degree of consensus in the broader population. I don’t think there’s a consensus in the US that fiscal policy addresses problems that are purely technical. Many Americans treat things like tax rates as moral issues (ie they can be judged good or bad independent of their economic outcome). Because people suspect that the ‘experts’ may have different moral views to their own, they are not willing to delegate decisions outside of the political process. 2. they can identify a group of people who do have the expertise. I doubt that there is there any consensus about who has economic expertise. Economists are often seen as divided into ideological camps. Many lay people feel entitled to decide which group they think has expertise and which group does not. 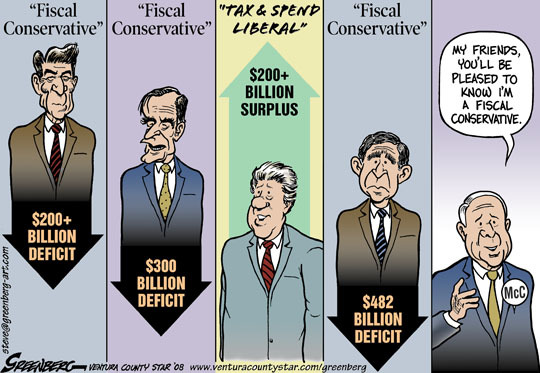 Taxing and spending lie at the heart of ideological divisions in the US. Interest rates do not. I’m broadly in agreement with your concerns. And how one meets a given target – for instance with what spending and tax chances is political and so inappropriate for delegation. It’s in response to the kinds of concerns that you raise that I’ve proposed that the focus of policy be the fiscal stance – to simplify somewhat, the deficit. There’s bipartisan agreement in Australia that it’s good to balance the budget through the cycle. So isn’t the precise balance for any one year be a technical question? Yes, and those “many Americans” are perfectly correct to do so. How much to tax (let alone who to tax) and how much to spend (let alone what to spend it on) are not mere technical questions – they go to the core of what you think goverment is FOR. You’re managing a lot more than money when you’re managing a government budget. Instead you’d have a bunch of unaccountable and unrepresentative bureaucrats, with a background in financial markets or in mainstream academic economics and driven by their desire for approval from these. How are they placed to judge the relative merits of short-term demand management, intergenerational equity, restricting or enlarging the scope of government and keeping bond markets happy? You or I might have views on the relative importance or relevance of each of these at a given time, but the point is that we can and should properly express those views at the ballot box. They are precisely questions that we elect the government of the day to resolve, not some shadowy unaccountable elite. I’d never adopt German macroeconomic institutions. Look how consistently dreadful (usually in the direction of massive overcaution) German macoreconomic policy has been over the last thirty years! True, though such a consensus doesn’t have much support in economic theory. Theory says in a growing population you should be running a structural deficit because the component of your spending that represents long-lived investment should be paid for by those who will benefit from it – ie future taxpayers; there will after all be more of them and they’ll be richer than you too. But on the other hand I suppose at a practical level you need a disciplining rule of thumb for the pollies, even if that rule means we’re paying too much tax and our children too little. DD, I agree with your point about German macro-economic institutions, so I’m suggesting we come up with an Australian one, which, like our RBA would seek to maximise long run growth. The politicians are then free to determine what mix of specific tax and spending policies, and indeed what balance of aggregate tax and spending policies produce the relevant balance. However, there doesn’t seem to be even general/broad agreement among economists about the optimal “fiscal stance” (rough net size of deficit/surplus). James Farrell’s recent post about whether and to what extent the fiscal stiumulus can be proven to have worked is a good example. It apppears that these are very much questions about which reasonable minds may differ (i.e. they are political rather than technical questions, as Don suggests). In similar vein, what about issues of inter-generational equity? Again there appear to be widely differing views about how much provision the current generation should make for future impacts of an aging population etc. Should we run a larger surplus and plough the accumulated money into a Future Fund (whether to fund social services for a future aged population or to fund measures to deal with the effects of climate change etc)? Or should we leave future generations to fund such needs when they arise, even though the current generation is contributng to the creation of the problem, on the theory that they will be much wealthier than us anyway and therefore better able to cope with the cost? That’s why I tend to think that enhanced transparency measures are really as far as we can properly take it. Having an unquestionably independent, neutral and expert body (like the RBA) issue an annual report specifying the range of net fiscal stances that would be consistent with economic responsibility (defined as the optimal mix of long and short term prosperity) would at least make it harder for someone like Tony Abbott to get away with convincing the ignorant that Labor’s current fiscal settings are somehow grossly irresponsible, when in fact we have by far the lowest net debt of any western country. My case at least for this innovation is based almost entirely around the monetary policy analogue, so at least to be consistent, it seems to me that critics should explain how they’d change monetary policy. You say that the economics of fiscal policy isn’t settled. I think it’s about as settled as monetary policy. One can argue for a negative inflation target (like uncle Milton Freedman did at one time) zero or some positive number up to about 5%. That’s a huge range. Likewise there are a bunch of different ways you could cut long run fiscal policy goals. Even given this, it seems like a non-sequitur to say that because something isn’t firmly sorted in theory that it shouldn’t be the subject of the kind of delegation, or limited delegation I’m talking about. To me the right question is ‘given the current state of knowledge, under what disciplines would you like the system to work?’ One of the things that I think is good about the RBA is that one has a dialectic between the political and technocratic worlds to help determine how that works out. In many ways the lack of unanimity in theory gives licence to politicians to cherry pick any damn theory they like – as did Malcolm Turnbull backing Taylor and his sucessor not even having to bother with theory and just going on about debt and mortgaging our kids’ future and all that. Now you could argue that greater independence means that management is less democratic. I’d argue the opposite. In a way that’s analogous with a judicial system with monetary policy independence the sovereign legislature does not abrogate it’s role, it makes laws and then delegates their administration to others some degree of operational independence to the central bank. While the kind of independence is different, I think you get the answer as to why independence can make something more democratic. Why don’t we let the legislature or the executive decide individual cases. Because they are inflamed with passion, if I might be rather eighteenth century about it. They will give lip service to the policy, but bend or break it in individual cases. Successful governments, and democratic governments are shot though with this kind of delegation – of different degrees, to statutory authorities, commercialised state owned entities, departments of state, ombudsman, auditors, police etc. Each has their function and some degree of delegation set out for them. We don’t have politicians deciding what cops can do, or deciding on day to day operations, it’s all structured according to law. Of course there are different degrees of delegation and I don’t happen to be a fundamentalist about these things. The idea is to bolster our democratic system, not somehow overcome it. In just the way in which modern psychology highlights the idea of pre-commitment as a major part of development of ‘character’, the ability to resist short term temptations, so it is good policy for the sovereign Parliament to legislate some distance between itself and individual day to day decisions on monetary policy and fiscal policy. But that distance need not be absolute, as it’s not with the RBA Act allowing governments to overrule the RBA by doing so publicly and tabling their instructions. Now the next part of the issue it seems to me is this question of whether fiscal policy is ‘special’ compared with monetary policy. I think it would be if we were talking about individual spending and taxing decisions, but we’re not. We’re talking about the fiscal stance. Now it’s easy to say that this is more political than monetary policy? Really? I can’t see it myself. The government remains in charge of all taxes and spending (subject to the usual parliamentary and judicial argy bargy) but it will be leant on to deliver the kind of fiscal policy that it has endorsed in calmer times. And the kind of mischief we’re trying to deal with seems pretty closely analogous to the kind of mischief that monetary policy deals with. Policy credibility is hugely important both to the policy leeway one gets to work with before markets decide to toss you to the wolves and to the effectiveness of any given change in policy. The other thing is that if weak governments perform poorly in this area, they ‘mortgage the future’ as we’re fond of saying. With monetary policy they do so by debasing the currency and in fiscal policy they do it by racking up debt – and possibly debasing the currency also. So by quoting that article with that specific lengthy quote from Clive Crook, you seemingly endorse the position that Krugman is unconcerned about the long-term position. If your main point as you clarify is that Krugman is not sufficiently sanguine about deficit financing due to the institutional problems inherent in the USA political system (though from my reading of him, he’s well aware of this problem), then I don’t really see the relevance of the large quote from Clive Crook to that issue, which is clearly misrepresenting Krugman. As well, you make Krugman a major part of your criticism, yet I see very little in the article as to why Krugman’s current position is particularly relevant to your proposed solution. I think Crook understands that Krugman goes on about the long term too. If you’re going to bemoan the responsibility of the political culture, and then adopt a ‘so far so good’ approach to fiscal stimulus, you’ve got a consistency problem. Crook draws attention to that, and so do I. But forget Krugman, how do you propose to solve the problem. A very attractive idea in principal. If only the economics profession had sufficient consensus, demonstrably more so than elected governments. For example, in Australia monetary policy in the early 1990’s was appalling, leading to a terrible recession. The economics profession was utterly divided against itself, and as some recent political history has revealed, Treasurer Keating did successfully lean on the “independent” RBA to moderate at least one interest rate increase. While both the treasury and the RBA got it very badly wrong, some courageous academic economists (eg John Pitchford) led the argument against the Treasury /RBA line. Purely technical problems do not automatically lead to a consensus within the profession. Indeed, the profession is now very much going through a period of flux, a period where many debates on the efficacy of fiscal policy, seemingly resolved in the last century, are being retested. I’m afraid we must rely on the imperfect sytem of elected governments, if only as as a risk management strategy for a profession sometimes deeply divided against itself. But as you say, the profession is never sorted on these matters. Even so some institution to give the running of both monetary policy and the fiscal stance some insulation from day to day politics creates a better environment for the debate and for better outcomes than an institution free environment in which there’s nothing to mediate this from the idiocy of the point scoring in question time. Question time could certainly do with reform, but that’s another issue. To return to the example I used. I recall then Opposition leader Hewson challenging Treasurer Keating in Question Time to raise interest rates further, prosecuting the RBA/Treasury Line. Treasurer Keating was less wrong than the RBA/Treasury, so on further misguided rise was avoided. So a forum for debate is very healthy. Our current system also has budget estimates committees and a senate, all of which have their own issues. The transmission vectors for alternative view points seem to be critical here, and the institutionalization and codification of relatively independent processes. Quality blogs like this are a start. Consensus on fiscal policy seems inextricably liked with both political ideology and personal life journeys through economic literature, so independent consensus on fiscal policy may never be achievable. Still an attractive idea worthy of further development Nicholas. FYI a recent discussion with a very senior RBA official juts pre the last federal budget revealed that the RBA had no idea of some of the initiatives that were announced days later. I mention this because it raises the question of the co-ordination of fiscal and monetary policy. I perceive a much more distant relationship between these two institutions than was once the case. Another worthy discussion.